LIME’s team, which consists of Home Advisors and some of Colorado’s best craftsmen, supports that effort. LIME services interior and exterior painting for residential and commercial properties. A paint job is important to maintaining the aesthetics as well as the integrity of a home or office space. From a standard repaint to a paint job that’s heavily distressed, LIME is prepared and qualified to take on the task. LIME’s expectation for customer excellence has made us Denver’s most trusted and highly recommended painting company. Working with LIME is easy, enjoyable, and refreshing! LIME is a people business. We make relationships a top priority. Whether it’s the network of clients we serve or the lifelong relationships within our company, LIME is people focused. As a reliable and trustworthy member of the community, LIME Painting has a moral compass for doing the right thing. This pushes our team members to act ethically, both in our personal and professional lives. LIME’s role within the community extends beyond business. LIME subscribes to BAM (Business as Mission). Our role is to serve our employees, customers, and the community. In all aspects of being a professional service provider, LIME demands excellence. We would never settle for anything less. We set the standard for customer service—or as we refer to it, customer excellence. Nick Lopez attended Arvada West High School and left Colorado as a wide-eyed first-generation college student to work on a BS in business marketing from Michigan State University. His plan was to walk on to the wrestling team, which would ultimately pay for the cost of tuition and living. The reality was that a scholarship was a couple of years away, so Nick made the tough decision to hang up his wrestling shoes for an entrepreneurial endeavor to support the cost of his education. At the age of 19, Nick founded his first painting LLC, and for every summer thereafter he painted homes to help pay for tuition, books, and cost of living. By doing so, Nick began to develop a real passion and love for the craft. 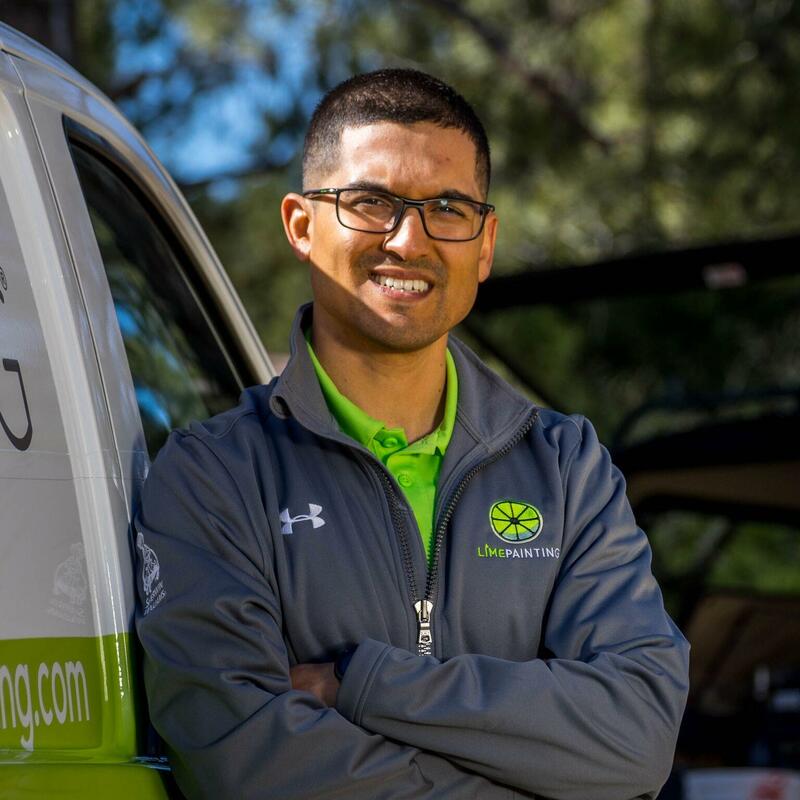 In his third year as the owner of a painting company, the “light bulb” went off and he realized that the past three years of painting didn’t have to be his last and that a future in the industry made sense. From that point forward, Nick focused on owning a company in the painting industry that raised the status quo. Upon graduation, Nick and his soon-to-be wife moved back to Colorado to start their family. 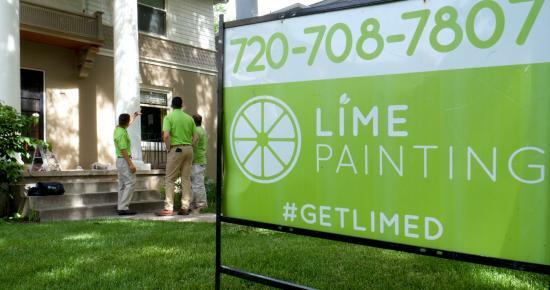 Soon after, Nick launched LIME Painting in Denver. His efforts led to developing and fine-tuning what Nick believes to be the best business model for consistently delivering high-quality paint jobs. Some of the most important elements that make up that model are the people who work within LIME, industry-leading customer service, quality controls, an emphasis on talented and well-trained craftsmen, and high performance products. Nick enjoys the Colorado outdoors and often hikes and fishes in the Rocky Mountains. Nick and Angela are expecting their third baby in the fall of 2018. She’s their first girl!